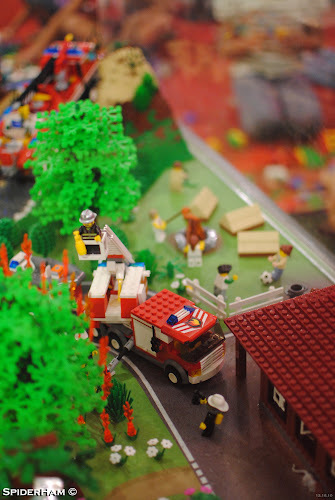 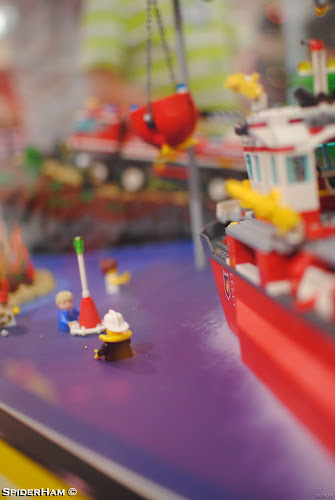 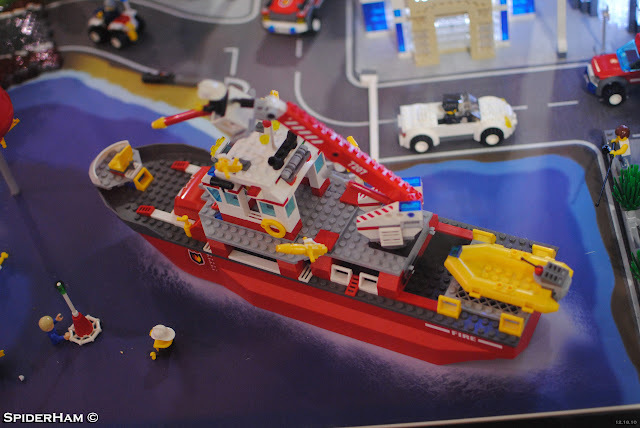 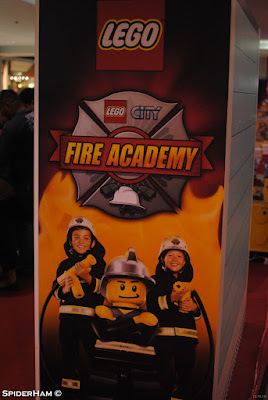 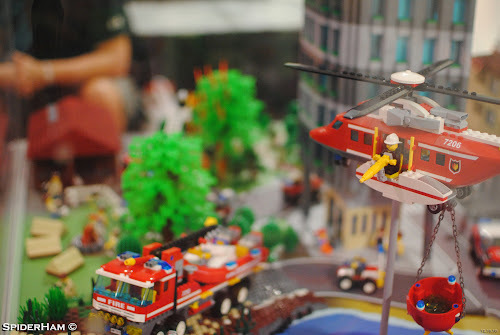 The LEGO booth entitled LEGO City Fire Academy features Fireman theme on all the sets displayed on glass casings. 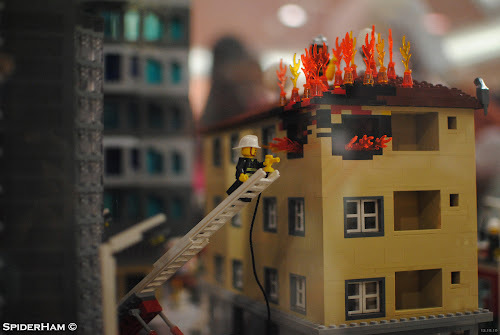 The 4 glass casings contains different sets of emergency situation where fireman and rescue teams are needed like sea and air rescue, burning buildings, and construction safety settings. 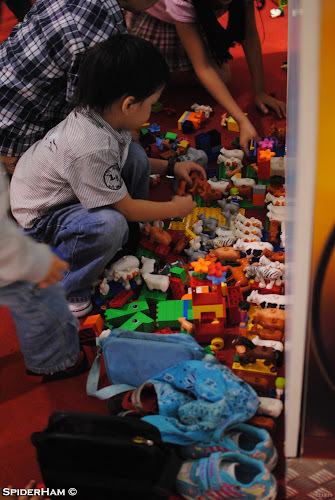 The booth also contains an activity area wherein children can enjoy two things. 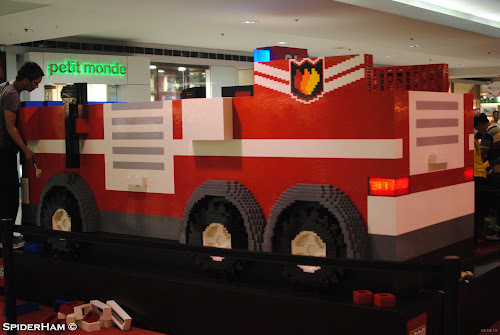 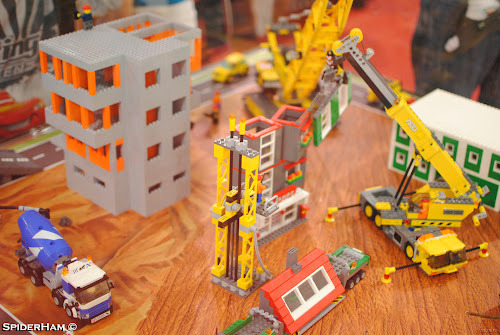 They can either play by creating their own LEGO toy or join the construction of a giant fire truck by creating larger version of LEGO blocks. 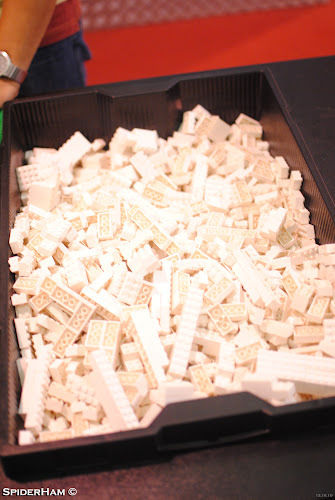 The tray containing white blocks is tempting me. 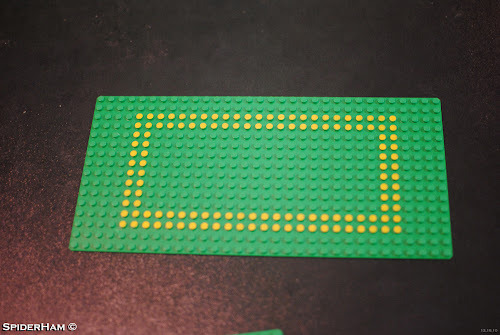 So I got a base platform with a pattern on it. 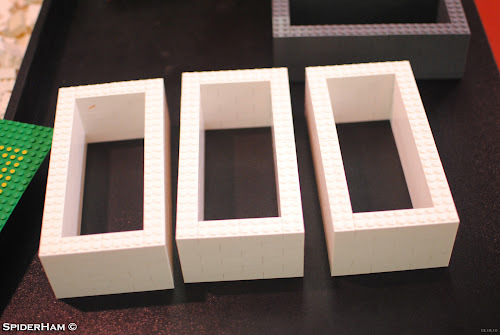 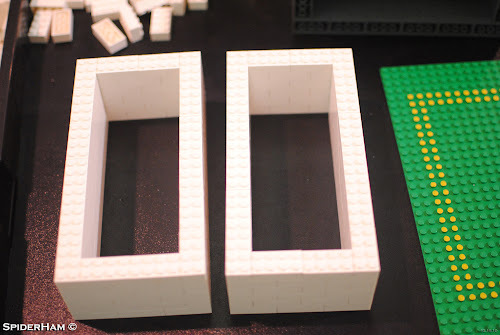 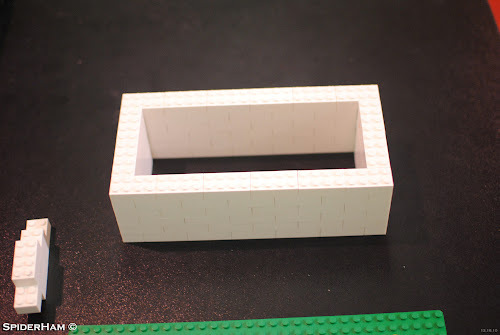 It's just like making a larger version of the blocks. 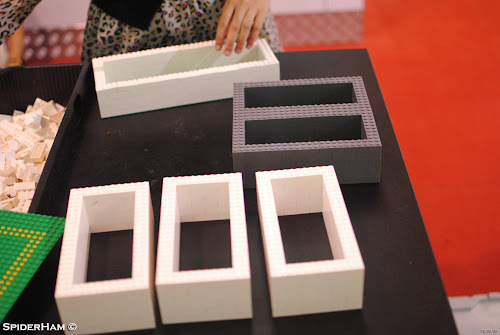 It is 6 times larger to be exact since we were asked to construct 6 layers of block for the pattern. 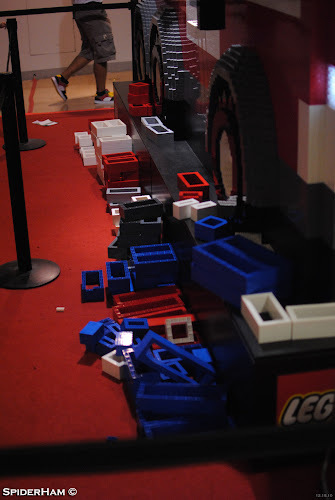 I was just able to create three blocks since I'll be going somewhere else. 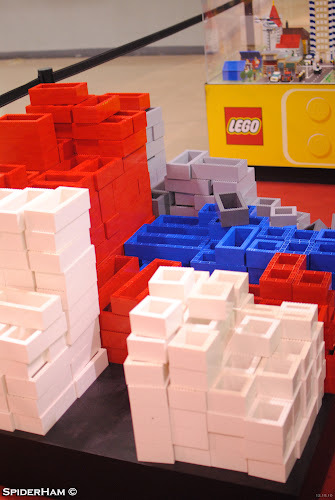 Finished blocks are stacked according to color. 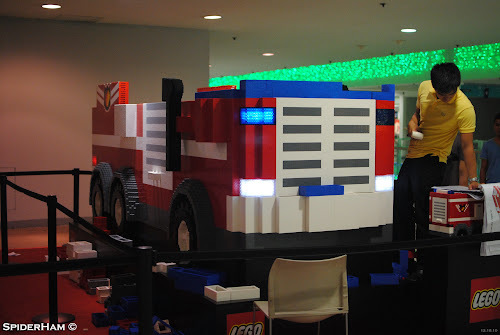 This is the Firetruck scale model. 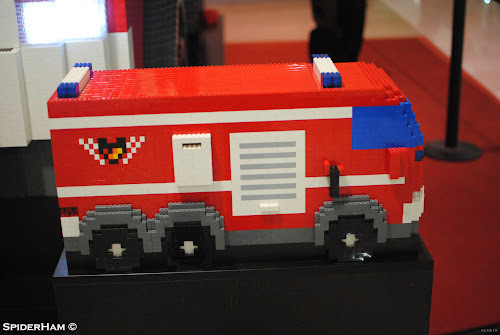 This is the larger version of the Firetruck. 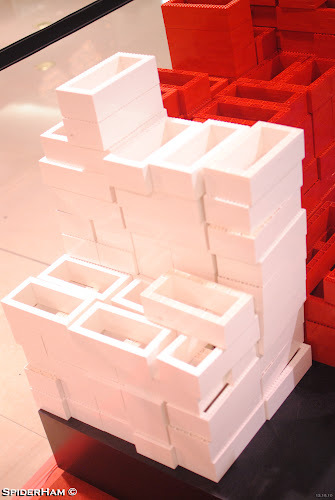 The blocks that I have constructed earlier will be included in the truck later. 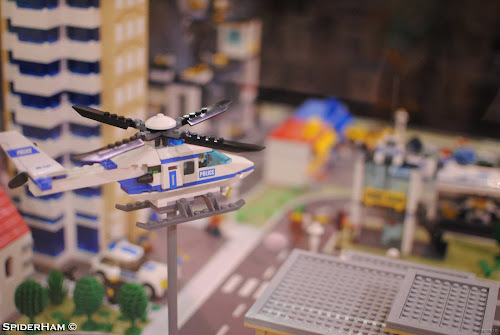 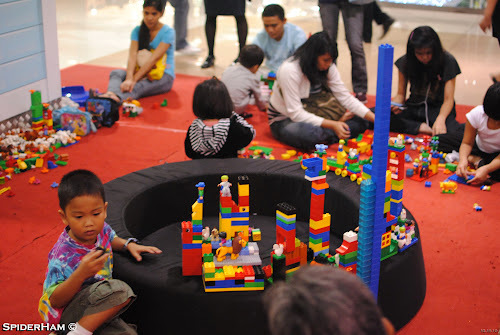 Children and children at heart who played LEGO in their younger years like me will surely enjoy this activity area when you visit SM Megamall. 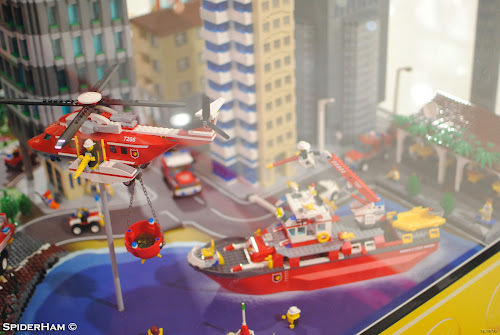 LEGO City Exhibit is located on 3rd Level above the activity area (formerly ice skating rink) and will be there until January 4, 2010.